The firm handles a wide range of complex litigation and appeals that call for a deep understanding and focus on strategy, tactics, legal precedents and technology, as well as a full understanding and appreciation of the business environment and community in which clients live and work. 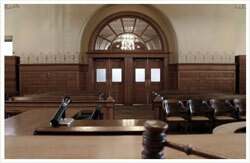 We have broad experience in state and federal courts, at both the trial and appellate level, in litigation involving the most difficult and complex commercial and personal disputes. The firm has extensive experience in all phases of litigation, including pleadings, discovery, motion practice, trials, appeals, arbitrations and mediations. We have successfully represented clients throughout the country with complex legal and technical issues involving intellectual property, unfair competition and business practices, commercial contract disputes, health care, pharmaceuticals, and product liability, in addition to other areas. We understand that the key to success is developing and implementing a solid and winning strategy. Our unique abilities and skills have won us the respect of our peers, adversaries, judges, and many grateful clients.